In the shop, I mean. The bunnies have finally made it to my Etsy shop. 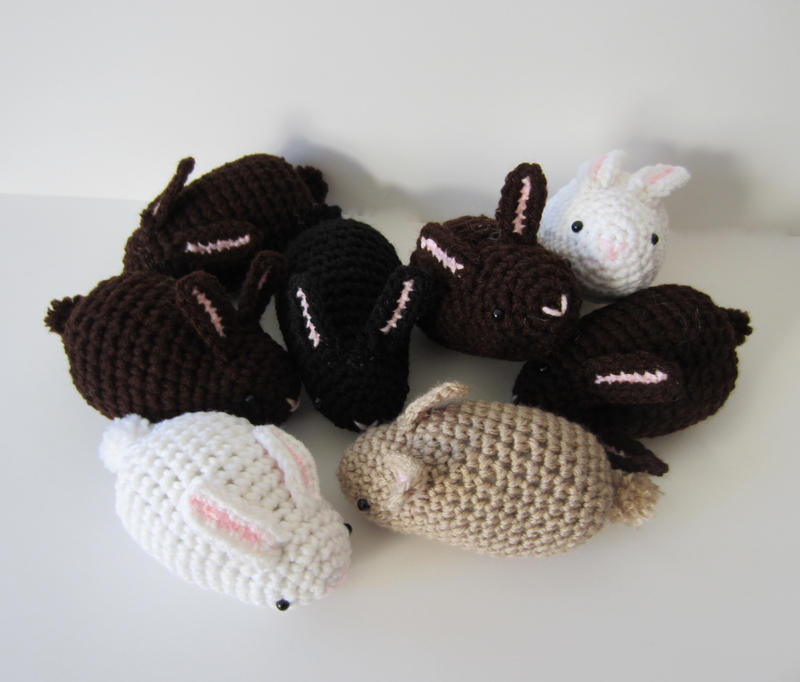 I’ve been hard at work making bunnies like rabbits, as you can see from the photo, so there will more more colors listed soon. Find the bunnies here. I'm a crafty lady living in Rhode Island. This entry was posted in Etsy, New Item and tagged bunnies, colleen's creations, easter bunny, etsy item, etsy shop, rabbits. Bookmark the permalink. 1 Response to The Bunnies Have Arrived!